Today is the eleventh international Rare Disease Day coordinated by EURORDIS. This year’s theme is research. With these aspects in mind, we would like to draw attention to the progress in Huntington research and patient advocacy. “The patient community needs researchers. They discover diseases and develop treatments. Researchers also need patients and rely upon their participation to ensure research is meaningful. Patients are not only subjects but also proactive actors in research”. 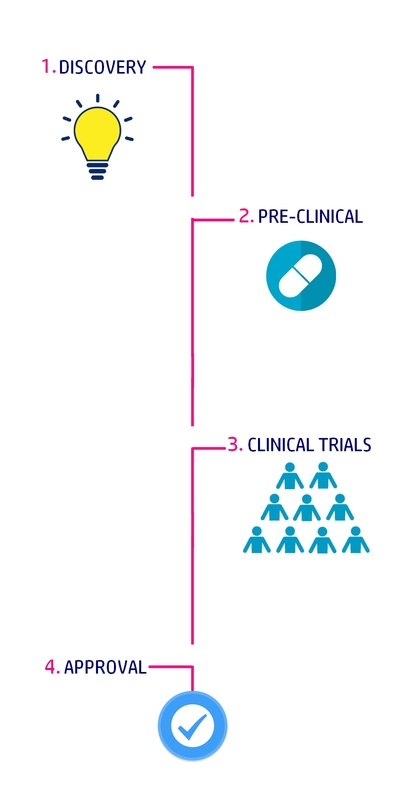 Huntington research often follows four steps: 1) Discovery; 2) Pre-clinical Phase; 3) Clinical Trial and 4) Approval. The first step is the discovery phase. In Huntington’s Disease a huge landmark was the discovery of the gene in 1993. The second step is the pre-clinical phase. This is when different treatment and drugs gets tested in animals. This phase is crucial for safety-testing. The third step is the clinical trial. This is when humans enter the trial. If the pre-clinical trials shows that the drug is safe, another safety testing is done with people. Following safety testing, the efficacy of the drug gets tested. The fourth step is approval. This is when the drug gets approved and available on the market. Sounds like a quick fix? Unfortunately, it’s not. The gene was identified in 1993. Since then, different medical theories have been tested. Many of them have made it to the pre-clinical phase and even to the clinical trial. These pre-clinical trials have managed to cure Huntington’s Disease many times – in mice. However, when the same approach has been carried out in humans, the results have not been the same. Even though a mouse brain and human brain is surprisingly similar, they were just not similar enough. This changed in December 2017. 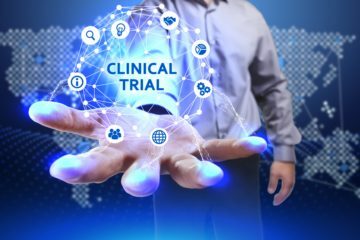 The results of the Huntingtin lowering trial IONIS-HTTRx, now known as RG6042, exceeded all expectations. So.. what was great about it? 1) It was the first Huntingtin lowering trial in humans; 2) The results showed that the drug was safe and well-tolerated; 3) It showed that a drug – for the very first time – lowered the level of the disease-causing Huntingtin protein in humans. This lowering might slow the progression of Huntington’s Disease and improve the symptoms. Might – because the specific effects of Huntingtin lowering is not yet known in humans. Yet – because Roche Pharmaceuticals is planning to measure these effects. Progress is being made in Huntington research and there have never been more clinical trials – trials with humans. 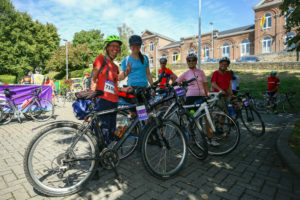 Even though many people gladly participate in research, it demands a great deal of effort from the participants. 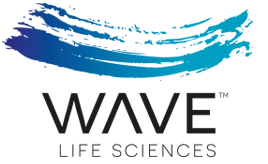 For this reason we would like to draw attention to the newly established Huntington’s Disease Coalition for Patient Engagement – HD-COPE – the first coalition of its kind in the Huntington community. The coalition aims to close the gap between research and families. They seek to be the voice of the families and speak their needs in research and trials, as well as communicate information back to the patient community. As an overarching aim, HD-COPE wants to highlight participants as proactive actors: to ensure that research means research carried out ‘with’ or ‘by’ members of the Huntington community, rather than ‘to’ or ‘about’ them. 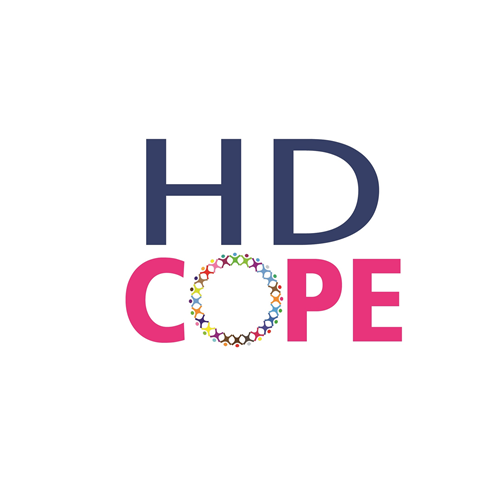 After a year of planning, HD-COPE was launched in September 2017. 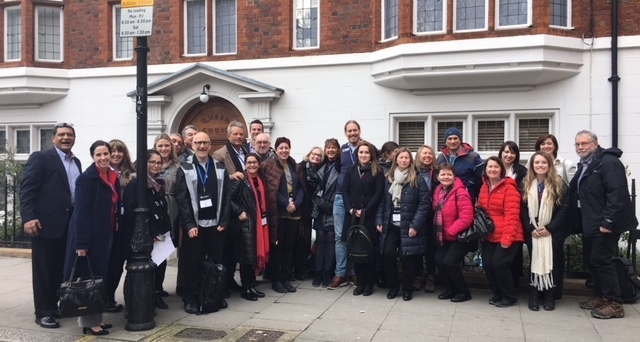 Behind the coalition were three patient associations: the European Huntington Association (EHA), Huntington’s Disease Society of America (HDSA) and Huntington Society of Canada (HSC). 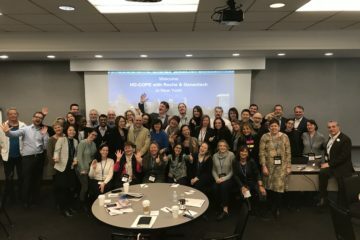 The leaders of EHA, HDSA and HSC make up the HD-COPE Advisory Board. In addition to the advisory board, the coalition consists of a HD-COPE Team: ten European, four Canadian and six American members. They all come from Huntington’s disease families as either caregivers, at-risk, as gene positive or negative. 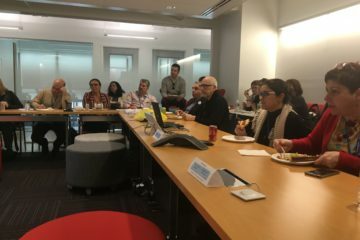 In addition to their personal story and knowledge about Huntington’s Disease, the team members have been educated in research. They just recently met Roche Pharmaceuticals to talk about the upcoming Huntingtin lowering trial. And this is just the beginning. As research progress, they will continue to meet pharmaceutical companies, researchers and regulators to make sure the families are heard – and to make sure research is carried out as a team.